ETX Capital is the trading name of Monecor (London) Limited. The company joined interdealer broker Tradition in 2000 and in 2002 Monecor became the retail derivatives arm of Tradition. In 2007 Robin Houldsworth and Peter Shalson acquired Monecor for an undisclosed sum from Tradition UK. The name ETX Capital was adopted in 2008. Having traded using IG Index for several years, the transition to using a new platform and broker was not a particularly natural one. Lured in by the offer of lower spreads, albeit on the recommendation of a friend, and a ‘cleaner’ trading experience I had expected to need to continue trading with IG whilst I became accustomed to the new interface and quirks customary when changing allegiance from a long trusted platform to a new and largely unknown recommendation. My initial reaction to the new account was towards the platform interface. Having enjoyed multi-window and multi-screen trading for some time I was instantly drawn to the uncluttered, black and professional looking layout of the ETX experience. One of my principle frustrations with IG was the way that my interface would quickly become cluttered with their revolutionary multi-ticket, multi-chart and multi-window platform. There was just too many multi’s causing me to wade through several tickets and charts before executing a trade. I needed something simpler, taking into consideration my own trading style, I required fast execution but generally knew which trades I wanted to take and often above the 5minute timeframe. This meant that I didn’t need to flick through several charts and trade tickets, something that I appreciate scalpers and day traders may find incredibly useful. For me the interface gave me the options I required and, above all, it looked nice. When you stare at something for several hours per day this is really important. Furthermore, ETX uses the same charting package as IG so there was no tutorial or practice required to get used to the clean, straightforward charts that I was used to. Rather than multi-window charts I found that I could tab between these in much the same was as web pages; I understand that this can be done on IG but EXT just seemed cleaner and more suited to my trading. One of the most important reasons for using ETX as a principle trading platform are the spreads which range competitively from excellent to average. The markets offered by ETX are not exhaustive but, for my purposes of minimising the spreads on the major pairs, I was happy with the competitive 1pip spread on the EUR/USD and FTSE100 daily’s. Other pair’s spreads range from 2pips on Wall Street to 3 pip spreads on the GBP/USD. 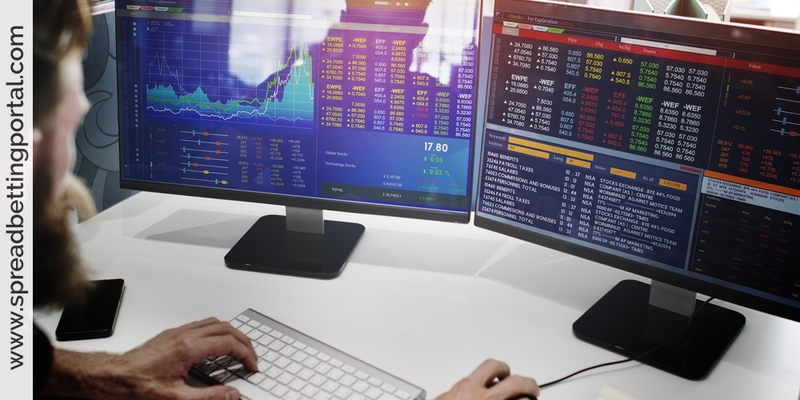 The markets covered by ETX include the major indices, UK and US shares, bonds, interest Rates, commodities, ETFs (exchange traded funds), sectors, options and forex. The forex pairs are divided into geographical region, covering the most popular and also a reasonable extensive range of minor pairs. They also include a selection of exotic pairings for the more adventurous traders although I personally have always been put off by the volatility and wide spreads that are customary with these currencies. 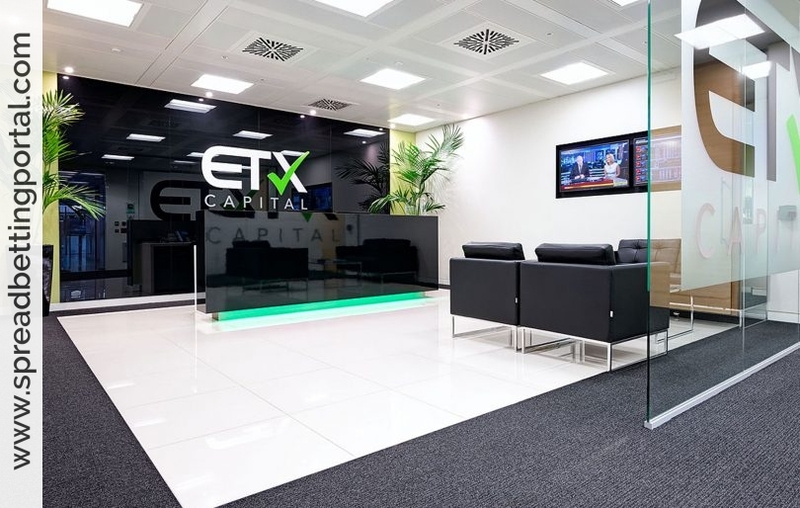 Executing trades using the ETX Capital platform is incredibly user-friendly and straightforward. A large, clear ticket which simply asks you to define your stake and stop before clicking ‘buy’ ‘sell’ takes absolutely no getting used to whatsoever. The fact that you are prevented from trading with a risk larger than your account balance prevents any nasty surprises when trades are kept open and go against you. This is also very good for beginners in terms of money management and to practice the golden 2-3% rule. 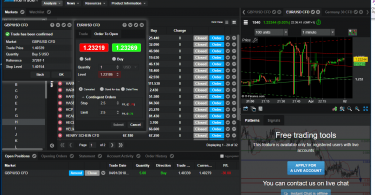 Even more helpful is the starting minimum stake of just 0.50p per point for the first few weeks of trading, this combined with the £150 account bonus is incredibly helpful for traders both new to the platform and also to spread betting. Similar to IG Index, ETX capital has launched an iphone app for traders to open, close and monitor trades on the move. This incorporates many of the features of the online trading platform and has a charting package built in for chart analysis wherever you are. The app is available from the Apple store and allows traders to monitor positions throughout the day without having to be glued to their screens. I have found that mobile trading, especially those platforms that offer charts on the move, is a good way to prevent over-trading and over-analysis. I find that the temptation to play with a position is less when operating on a mobile interface. I have tended to use these more to monitor positions that I may be tempted to meddle with using the online interface. Overall, my experience of ETX capital has been a good one. From opening an account and their sign-up offer to the clean interface and competitively low spreads offered on selected markets I have found that ETX suits my trading personality very well. There is a wealth of trading webinars, seminars and educational materials (apparently worth up to £500) available to new traders and the availability of low-stake trading makes it ideal for those who are ready to move into real-money trading. EXT has a benefit over IG Index for new traders as it does not require that stops are guaranteed. IG do guarantee stops for all new traders and this makes the spreads frustratingly large. For the more experienced trader the charting software, provided by I.T Finance, has become an industry standard. 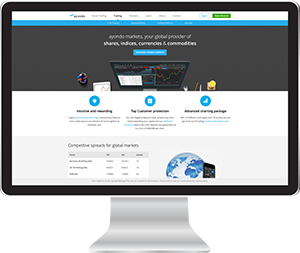 The clean interface of the charts and the platform itself will appeal to certain traders. If clean and slick is what you need then this may be ideal for you. The bonus risk-free joining offer allows you to try out new strategies with real money and without getting burnt. With daily, daily rolling and futures markets covered by the platform it also offers a wide-range of options for short, medium and long-term traders.